Show off your love of one of the most iconic female superheroes with this officially licensed, 100% cotton Wonder Woman shirt from Bioworld! 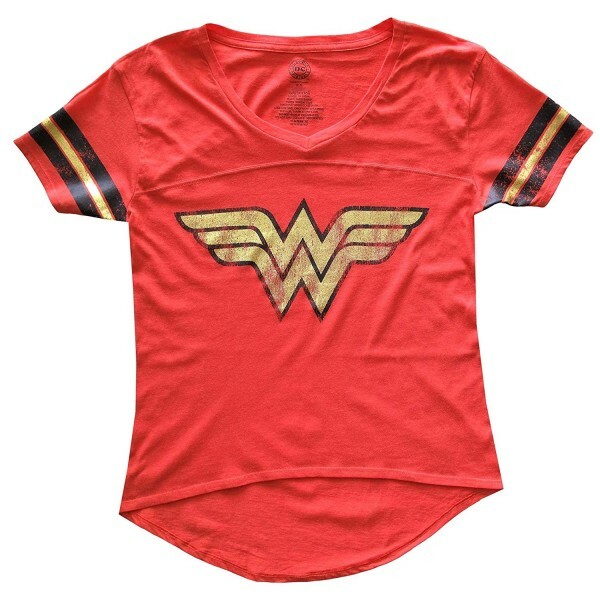 This shirt features the Woner Woman logo in distressed gold foil on a red background, as well as sleeved banded in black and gold. The vintage styling an the hi-lo hem make this shirt stand out from the crowd! Available in juniors size small to XXL.